Gonfreville l’Orcher, located near Le Havre in Seine-Maritime, commemorates every September the liberation of the Nazi occupation in 1944. The 72nd anniversary of this liberation came along with another anniversary, the 50th birthday of twinning with Teltow, Brandenburg. A partnership that even began in GDR times and has survived the fall of the Wall. On this occasion, Teltow donated a Wall segment which was set up in 2016. 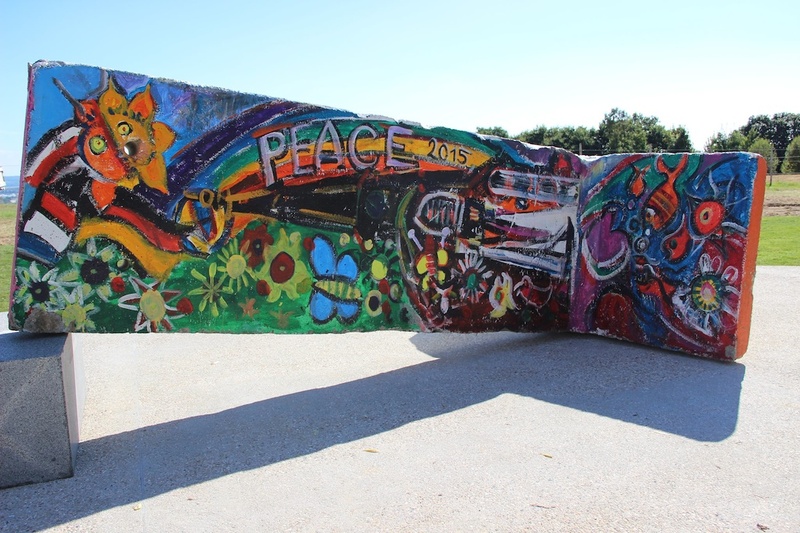 The mural, which symbolizes the return of peace, was done by students of the art school Teltow. The slanting segment is intended to symbolize the fall of the Berlin Wall. 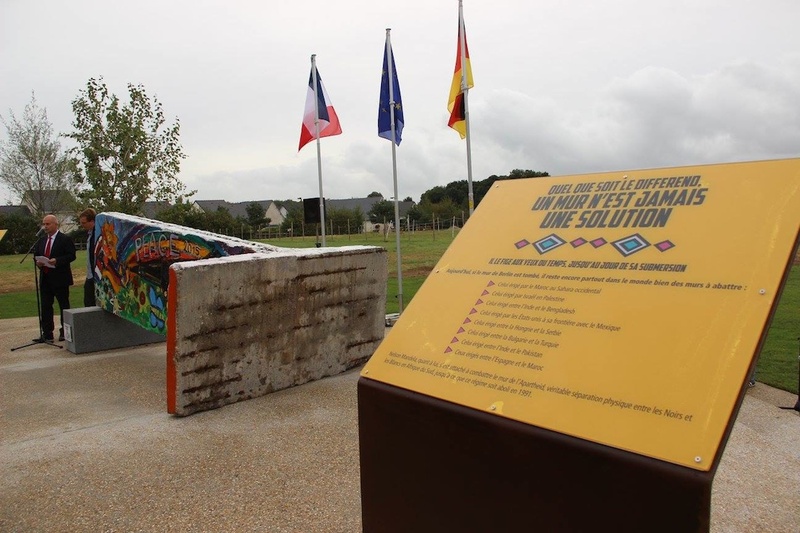 Walls are not meant to resolve conflicts, said Jean-Paul Lecoq, Mayor and District Council, at the inauguration. Rather, this legacy of the Cold War should remind that it is important to overcome other walls too, especially in the Western Sahara and Palestine. A plaque next to the Wall segment lists some more current walls. Thomas Schmidt, Mayor of Teltow, added: It is time that the concrete, that has long separated people now connects, since many cities have a Wall segment and thus express their message of peace and freedom.